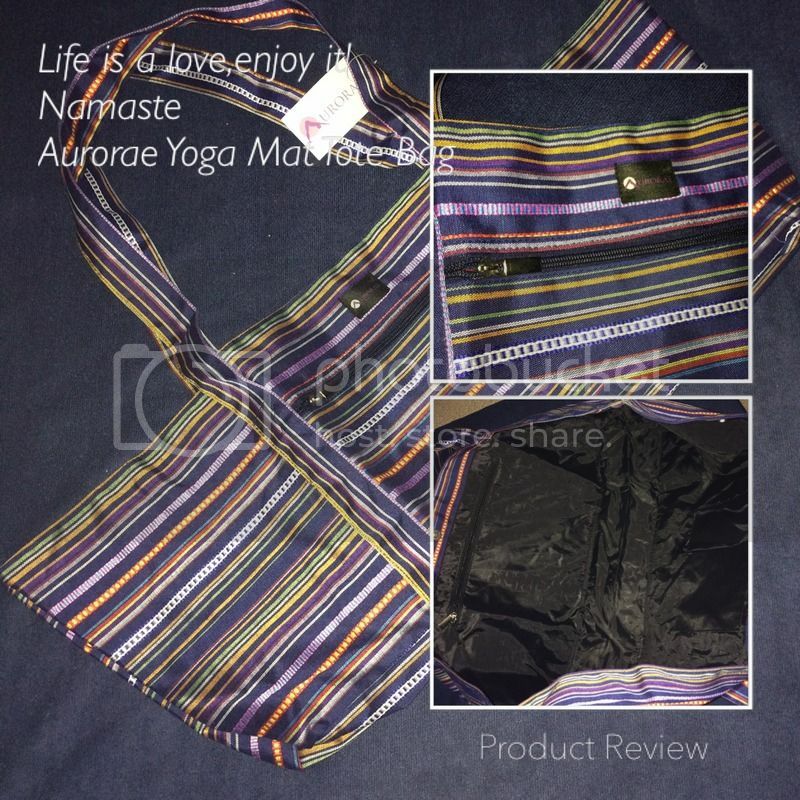 It is more fun to go to your yoga class when you posses a nice Aurorae Yoga Mat Tote Bag, it fits almost anything that you need for your yoga class in that bag. Yes, if you haven't know yet, Aurorae just recently launch this very nice and very useful tote bag for our convenience. I have the opportunity to review this Yoga Mat Tote Bag, I choose the Stripe, in which also comes in Grey and Purple colors. The item arrives in the mail via the USPS. I see no signs of damage in shipment that I was able to check and use the tote bag right away. When I opened the tote bag, I was very impressed how neat it looks outside and the inside. It is wide enough to indeed fit the yoga mat and other stuffs you want to bring with you. There are compartments inside one has a zipper and the 2 others were none. There are zipper pocket outside too, big enough to put some of my personal items in it safely. I love the vivid stripe color and I was very happy that I choose this unique colorful bag. The handles look very sturdy and wide enough to hang it on my shoulder comfortably. The width of the tote bag is extremely large, I love it. The exact dimension is 30.5 inches wide, 6.5 inches deep, and 11.5 inches high, I find it very helpful because I'd love to take extra stuffs with me. I love the inside part of the bag, it's a wipe clean, dry kind and all my things just fits in perfectly. The 3 secure inside lock just protects my inside stuff from being exposed, I love it. I'm very happy with this yoga tote bag, and I'm glad to acquire one. For the value of a list Price of $59.95 it is now on Sale Price: $35.00. I would say you do have a great deal now. You can purchase yours here. That looks like a very reliable bag! I'd sure love to have one! That's one chic and colorful tote bag. I'd like to have one, too. That's nice. I have their yoga mats and towels. very nice tote bag.Im sure many women would love to have it.